Harvard Business School Online offers a unique and highly engaging way to learn vital business concepts. 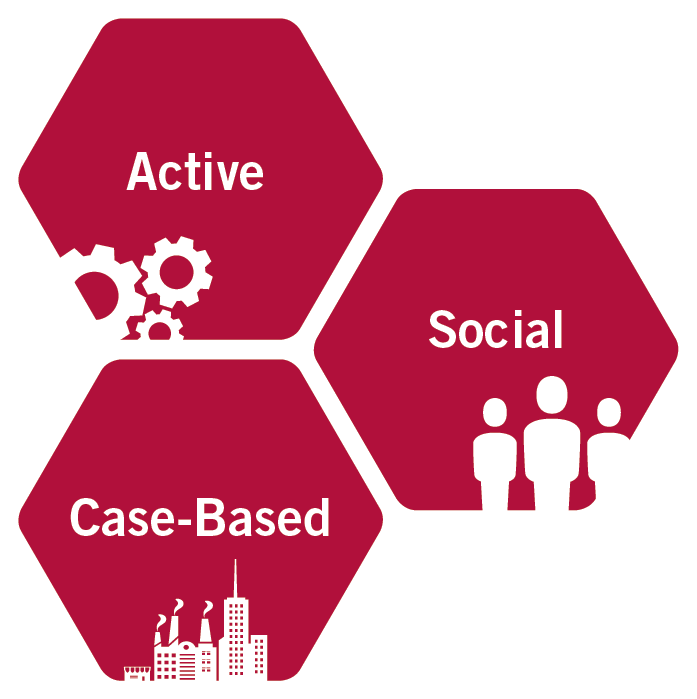 Our programs are designed to bring the Harvard Business School classroom to you, and are built around three key characteristics: active, case-based, and social. HBS Online courses are nothing like a typical sit-back-and-listen lecture. You’ll engage in a new activity every three to five minutes—think polls, problem-solving exercises, short essays, and the famed HBS “Cold Call,” where you’re asked at random to succinctly state your position on an issue in a matter of minutes. Each element is designed to keep you interested, involved, and on your toes. Immerse yourself in real-world learning. Lessons are brought to life through cases, which put you in the shoes of business leaders. Hear firsthand the challenges they faced, and wrestle with the same issues and imperfect information. As you discuss and debate solutions with your classmates, you will learn vital business concepts you can apply in your own career. Engaging with your peers is a big part of what makes HBS Online unique. You exchange ideas, offer input, and seek out viewpoints from a community of learners gathered from around the globe. In the process, you learn from each other’s experiences and perspectives, and leave the program with a broader outlook on the world. Two Experiences. The Same Real-World Approach. Through Our Course Platform: Complete coursework on your own time while meeting regular deadlines. In Our Real-Time Online Classroom: Log in at a set time and engage live with faculty members and peers. Each learning experience is built around our three pillars—case-based, active, and social—and feature renowned Harvard Business School faculty. Through each, you will join a community of like-minded peers from around the world who are committed to furthering their education and careers. This isn’t your typical online business education. Let us show you.